If you're thinking of buying a premium badged mid-sized SUV, you might not be thinking of buying a Volvo XC60. Perhaps you should be. Jonathan Crouch drives the much improved second generation version in D4 diesel guise. 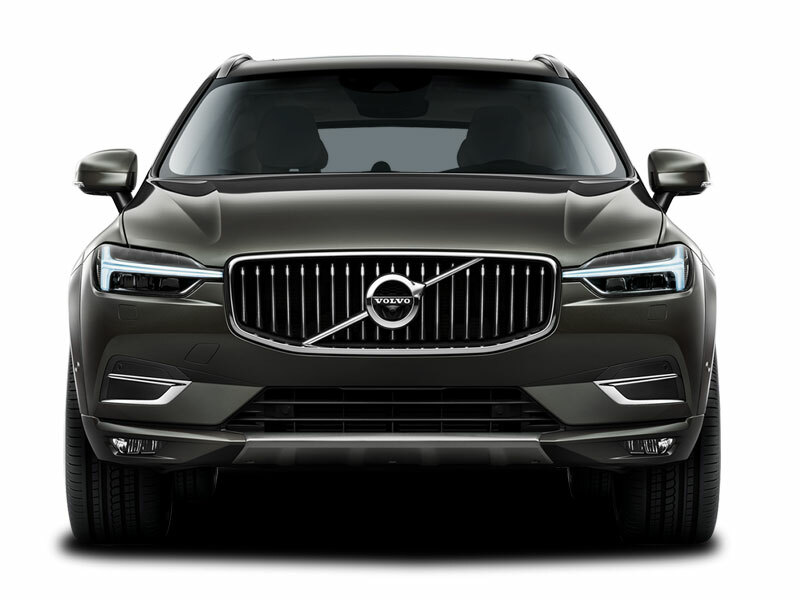 Volvo's elegant and beautifully crafted second generation XC60 offers proof that in Sweden, they build SUVs just a little differently. Safe, efficient, clever, practical and stylish, it's yet another model that re-establishes this Scandinavian maker as a credibly prestigious automotive brand. Most customers choose the D4 diesel version; let's find out why. Think of Volvo and perhaps you still think of a car maker primarily specialising in spacious estates and solid, safe saloons. It isn't true any more. True, the brand still builds cars of that sort, but today, the majority of its business is done in selling SUVs - cars like this XC60. This is the second generation version and it builds upon a success story than made its predecessor the best selling Volvo model ever. 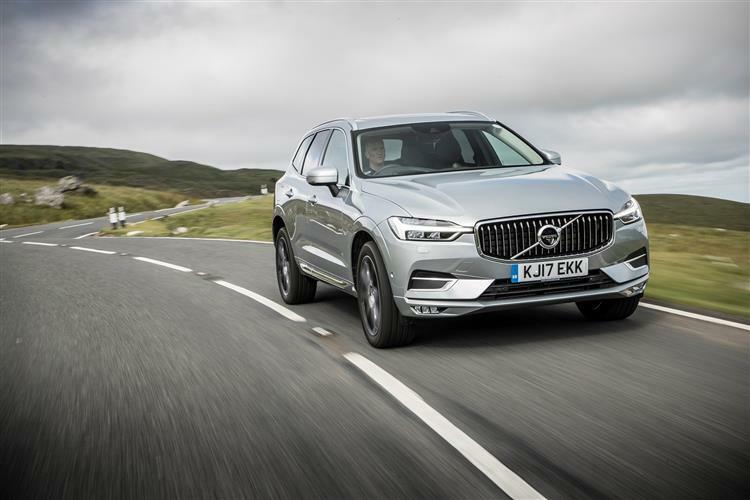 It'll certainly need to be good, given that the premium-badged segment of the mid-sized SUV market has changed beyond all recognition since the original XC60 model was launched. Now, as then, BMW's X3 and Audi's Q5 remain the default competition, but in more recent years, other desirable brands have piled into this segment and cars like the Mercedes GLC, the Jaguar F-PACE, the Land Rover Discovery Sport, the Lexus NX and the Alfa Romeo Stelvio all represent tempting alternatives in this class. 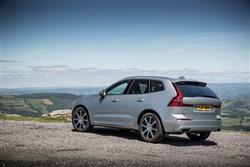 So what can this Volvo offer to set itself apart? Let's find out. If you were to place entertaining driving dynamics as a priority for your premium-badged mid-sized SUV, then let's be honest, this Volvo probably wouldn't be the first model you'd turn to. 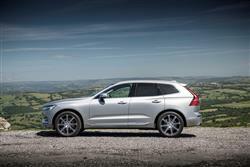 But you shouldn't gauge from that an expectation that this XC60 will be a complete duffer when the road turns twisty. It's very far from that, this model described as 'confident and predictable', which is what we've found it to be and precisely what most likely buyers will want it to be. There's unruffled poise and exemplary refinement, plus you get supple standards of ride comfort from the multi-link rear suspension and there's the option of an 'Active Four-C' adaptive damping and air suspension package if you want it. A standard 'Drive Mode Settings' driving dynamics system allows you to tailor throttle response, steering feel and shift timings from the standard 8-speed auto gearbox to suit the way you want to drive. If you do decide to push on a bit, grip and traction are actually quite impressive aided by the standard AWD system, while cornering body roll is also decently well controlled. 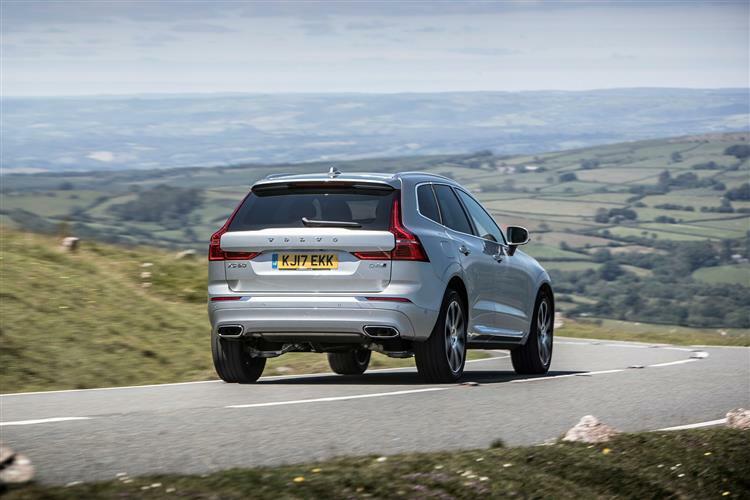 All the engines on offer are of a 2.0-litre, four cylinder configuration and come bolted to the same stiff, sophisticated 'SPA' chassis that underpins Volvo's larger XC90 model. 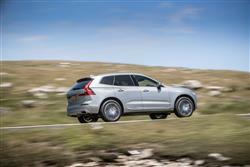 The XC60 range starts with the engine we tried, the one that most buyers will choose, a 190bhp D4 diesel. 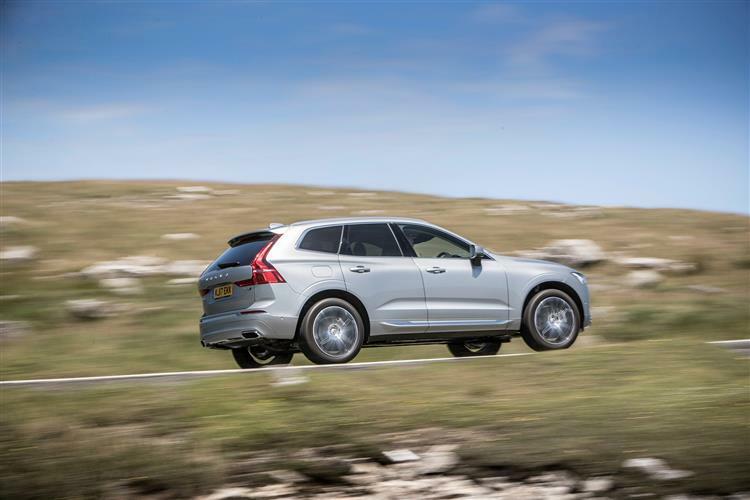 This 'Drive-E' powerplant was available in later versions of the first generation XC60 model, but with that car, you couldn't have it mated to AWD, a traction set-up now standardised across this model line. With that issue now sorted, this particular volume variant offers most of what potential buyers will want: a decent 400Nm slug of torque to facilitate a 2.4-tonne braked towing capacity that's un-bettered across the line-up. And more than adequate performance that sees 62mph reached in 8.4s en route to 127mph. If you like the look of this XC60, you'll be one of those people who already liked the shapely lines of the second generation version of its larger XC90 stablemate. Much of the same design language is, after all, carried directly over, creating a sleek, distinctly Scandinavian SUV that isn't particularly flashy but delivers an understated, confident demeanour that potential buyers will like. Up-front, high-quality materials, intelligent use of space and attention to detail work together to create a distinctly Scandinavian cabin that's simple and elegant. The first thing you'll probably notice is the 9-inch portrait-style touchscreen on the centre console that de-clutters the cabin of buttons and gives it a classy, sophisticated air emphasised by intricate detailing and rich Scandinavian design. There's more technology in the instrument binnacle where the normal conventional dials and read-outs have been replaced by virtual ones in an 'Active TFT Crystal Driver's Information Display'. The rear seats feature a nice touch - concealed storage compartments under the seat bases which are just the right size to store electronic devices, like a tablet, out of sight. There's decent boot space too, accessed via a standard power-operated tailgate that you can adjust to suit the height of your garage ceiling. When raised, it reveals a cargo area rated at 505-litres - or 635-litres if you were to load up to the roof. 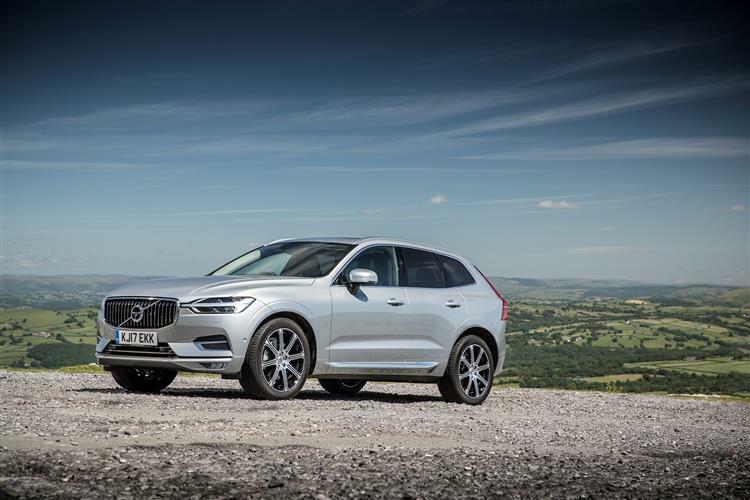 This second generation XC60 model occupies a slightly more ambitious pricing bracket than its predecessor - not only because it's a more sophisticated product but also because Volvo wants to leave room for the smaller XC40 model that has slotted in beneath it. The mainstream XC60 line-up sells from around £38,000 in this D4 diesel guise, but it's easy to find yourself spending up to around £45,000 once to add a few extras or ascend the trim hierarchy. All-wheel drive and auto transmission are standard. Standard kit across the range includes a power-operated tailgate, roof rails, rear parking sensors, auto headlamps and wipers and alloy wheels that are at least 18-inches in size. There's plenty of standard media connectivity on offer, most of it activated through the clever 'Sensus Connect' infotainment system that's fitted as standard and accessed via a large 9-inch centre console portrait-format touchscreen. From here (or via voice control), you can enjoy a 10-speaker 330-watt High Performance Sound system with DAB digital radio. In addition, there's a 'Sensus Navigation' system. Other standard cabin features include full leather trim, 2-Zone Electronic Climate Control and an 8-inch 'Active TFT Crystal Driver's Information Display' to replace the conventional instrument dials. Unfortunately (and rather unforgivably given the prices being asked), the package that gives you 'Apple CarPlay' and 'Android Auto' smartphone mirroring costs extra. This second generation XC60 offers something pretty unique: a mid-sized premium SUV that will never have an engine any bigger than four cylinders and 2.0-litres in size. 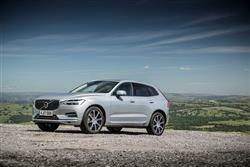 At first glance, that doesn't sound a very attractive proposition does it, but with the 'Drive-E' engines fitted to this car, Volvo engineers have reaped the efficiency benefits of taking this smaller, lighter approach. And those benefits are considerable, with improvements that'll be particularly evident to owners moving into this car from the previous generation model. Take the volume D4 diesel AWD version we're trying here. In the previous range, AWD versions of this variant were saddled with an old-tech Ford-derived 2.4-litre five cylinder engine that developed just 161bhp and which, in the automatic form most buyers chose, put out 169g/km of CO2 and couldn't quite crack 45mpg on the combined cycle. This car, in contrast, develops 190bhp, returns 55.4mpg on the combined cycle and emits a much more saintly 133g/km of CO2. That's pretty much a match for the highest standards set by rivals in this class and, to give you some real world perspective, is only about 10% worse than the figures you'd get from an automatic three cylinder Ford Focus. For quite a number of buyers, this XC60 will represent exactly the way a premium mid-sized SUV should look, should feel and should operate. 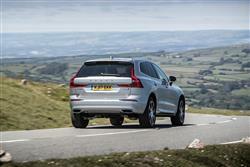 And, like its larger XC90 stablemate, it delivers something refreshingly different to what's on offer from obvious rivals. So there's plenty to like. Especially in this frugal volume D4 diesel guise. And in summary? Well you'd be forgiven for concluding that sales success is a virtual given for just about any new SUV launched these days: it seems that buyers just can't get enough of them. In some cases, that's merited - and this is one of them. This car might not please magazine road testers, but we can't help feeling that it's been cleverly perfected for the actual priorities of its targeted market. This then, is the Swedish SUV. Evolved.